– You have to prepare for a night shift by staying up later at night, and sleeping longer in the morning. This is probably easier for “night owls”, says Kimmo Kangas. 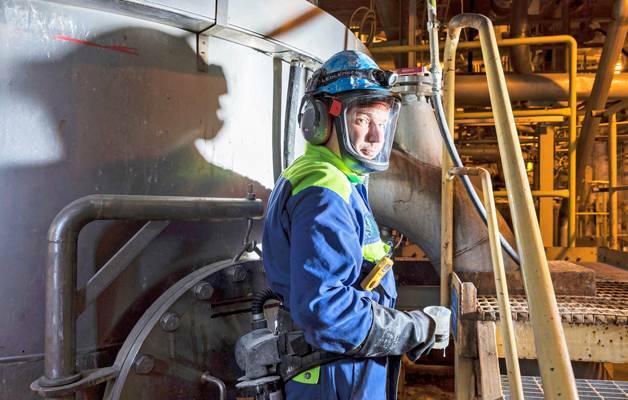 Four years ago a 12-hour work-shift system was taken into use at BillerudKorsnäs paper mill. It has proven to be outstanding compared to 8-hour shift systems. A 12-hour shift system means that the total 24-hour period is divided into two equally long shifts. This shift system became possible after the collective labour agreement contract of 2012. It was implemented, and the results were very positive. – The idea came from the employer, and we voted on it. Then a one-year trial was started. After it, we voted again, and the result was even clearer than before, 1–50 in favour of continuing, says Pasi Manninen, chief employees’ trustee at BillerudKorsnäs. 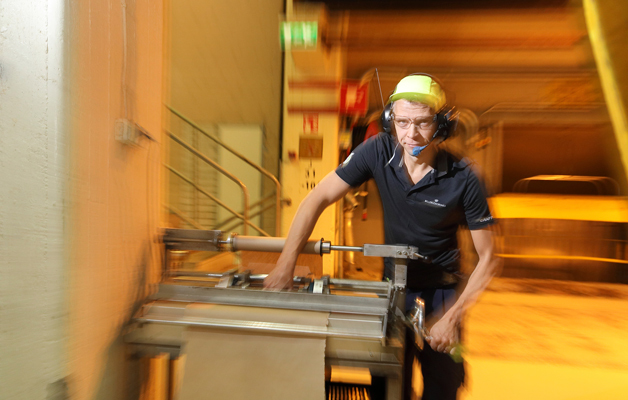 The production is continuous at the BillerudKorsnäs factory which produces packing paper. – The employer was at first concerned that productivity would decrease and expenses would rise, and overtime work couldn’t be done as flexibly as before. But one thing is certain: the enterprise does well when the employees are more satisfied, Manninen says. BillerudKorsnäs participated in a study that compared different kinds of shift systems. The study was conducted by Sampsa Puttonen from the Finnish Institute of Occupational Health. Very encouraging results were seen in the workers’ health and well-being, as well as in the work process. The research provided recommendations and good practices that were taken into use in the BillerudKorsnäs factory. 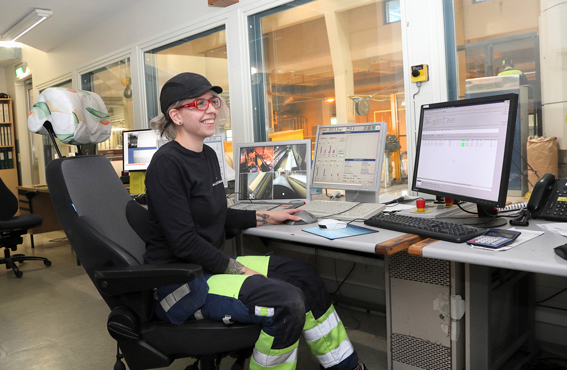 Annette Skytte, personnel manager of the factory, says that the advantage of the long system now being applied, is that there are two day shifts and then one free day, followed by two night shifts and five free days. This is much better than the fast version in which the body doesn’t have time to change its rhythm into ‘night’ and ‘day’ modes. The in-between free days, and the fact that the shifts are from 7 am–7 pm, and 7 pm–7 am, have had a small but significant effect on job satisfaction. The advantage of long shifts also means that one has to leave home less frequently. – A later morning start helps the daily routines as well as recovering, adds Skytte. The sickness absenteeism has been followed since 2014 at BillerudKorsnäs. – The sickness absences have decreased continuously. Perhaps we are now reaching a plateau. 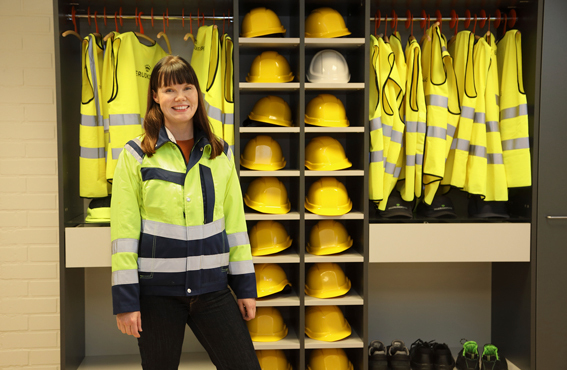 In addition, we have purposefully developed ways of supporting the employees’ well-being at work, as well as the safety culture and attitudes related to safety, emphasizes Annette Skytte. 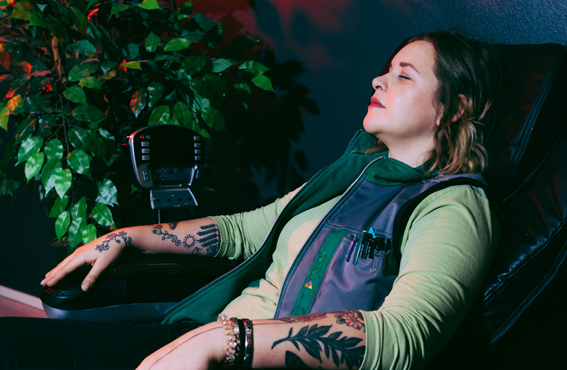 According to a personnel survey, 87% of our employees feel that they recover sufficiently during their free days. This result is considerably more positive than that of the control group. 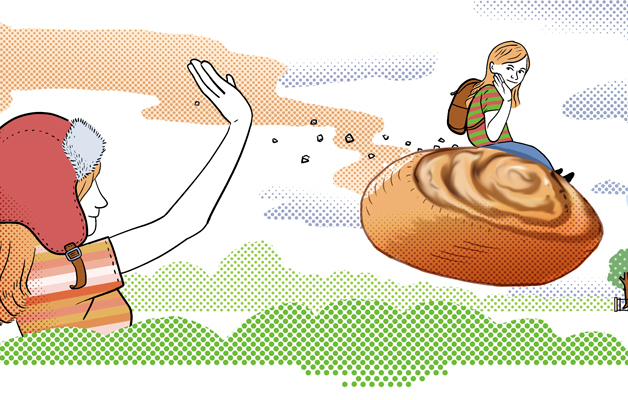 – Shift workers should make sure that they eat the right kind of food, exercise and sleep enough, emphasizes Skytte. The average age of the factory’s permanent employees is 45.7 years. Due to the cyclic nature of the paper industry, new workers are recruited mainly during periods of business boom. This means that due to the similar age structure of the employees, many of them retire at about the same time. This is a challenge which has been taken into account at BillerudKorsnäs, says Skytte. The constant sleeping difficulties experienced by shift workers have improved a lot due to the 12-hour system. 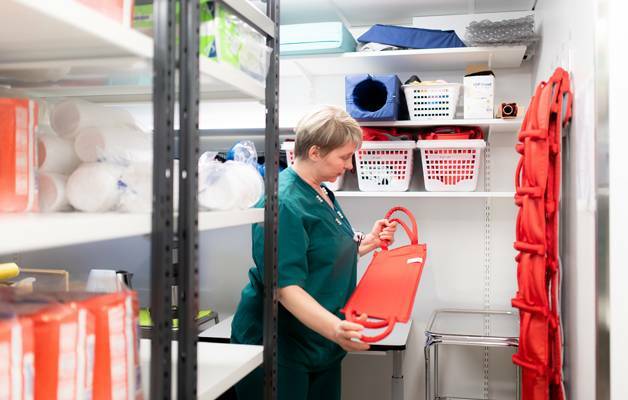 – 87% of our workers say that they are able to recover sufficiently, says personnel manager Annette Skytte. For an outsider, 12-hour day- and night shifts may sound exhausting. According to the interviews, shift workers say they live in their own “bubble”, which doesn’t contain any heavy or time-consuming additional activities after work. When you work, you just work. The research on shift systems recommends task rotation, allowing people to change work sites and positions, especially near the end of the night shift. Shift chief Johanna Järviaho’s team can decide their work tasks among themselves. – Every four hours they exchange tasks and get some variety. But there are also shifts where the persons stay in the same task the entire time. The transfer of information to the worker in the next shift must nevertheless be ensured, so that everything stays under control. An advantage of a long shift is that tasks can be completed during one shift, Järviaho says. Järviaho herself left shift work after having done it for 20 years, and started to study. She didn’t want to have sleeping problems and be continuously tired for the rest of her life. – When I came back to work life, the whole system had changed. Because there were only two consecutive night shifts, the quality of life was now better and I decided to stay, Järviaho says. 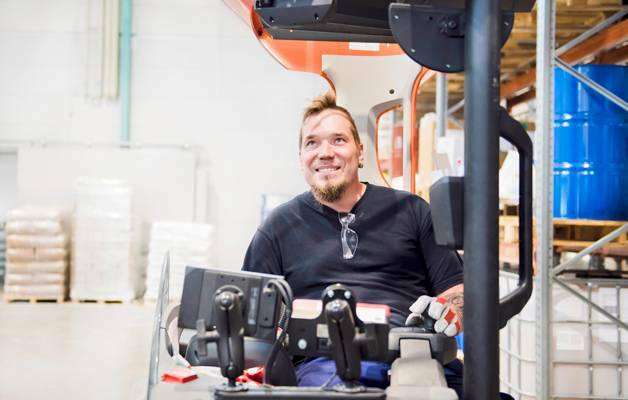 A permanent job in the factory is traditionally considered a lottery win at Pietarsaari. – That’s why nobody quits their job here. When we were young and started shift work, we had enough energy to do anything. Along with aging, sleeping problems get more serious, Järviaho says, in agreement with the other interviewees. Järviaho weighs in her mind the advantages and disadvantages of shift work. – When my daughters were little, my husband and I took turns taking care of them, and only ten kindergarten days a month were needed. It’s good for the children, but not necessarily for the parents’ relationship. Sometimes we changed shifts in passing at the house gate. The collective labour agreement contract for shift workers doesn’t include the possibility that a night-shift worker can stay at home if their child is ill, Järviaho says sadly. But having to stay awake around the clock isn’t possible. Shift workers remain outside the scope of many benefits that are taken for granted by day workers. – I miss not being able to take courses at the community college, or to take part in physical exercise groups. But then again, on free days the lingering mornings are wonderful, when other people have to get up early to go to work. That’s the time when I can take care of many things and enjoy myself, Järviaho says. Kimmo Kangas has done shift work for 20 years. – Day work didn’t suit me. I’m a night person, so I was always tired. Maybe shift work is more suitable for “night owls”. The only problems that occasionally come up during a 12-hour shift have to do with the paper machine, says Kangas. The importance of task rotation and multi-skilling are emphasized by shift-work research, but opinions concerning them are divided at BillerudKorsnäs. Some of the employees are eager for new challenges, but not everybody wants change. Kimmo Kangas, who works on the dry side of the paper process, handles six different tasks, among them a cylinder man, taking laboratory measurements, and operating the paper machine. – Three tasks would be more manageable, then you could concentrate better on them. Know-how doesn’t accumulate, if you do tasks for only a short while. I’m a bit nervous when I’m in the role of ‘captain’, that is, machine operator. When you don’t know exactly what you have to do, you can’t quite relax on the job. Thank goodness the problems aren’t a hazard to humans, but they do cause material waste and financial loss, Kangas says. About a half of the factory’s shift workers engage in some kind of physical recreation and exercise for their own enjoyment and in order to cope better at work. Kimmo Kangas coaches and is active in the sports club SiSu of the workplace. – Operating a crane is hard on the neck and my feet get tired walking on the hard floor. At times the factory operates at maximal capacity, with all 11 mill rolls running, says Kangas. Shift work hasn’t been a problem for Kimmo Kangas’ family life. Kangas prepares for his night shifts by staying up later and then sleeping longer on the in-between free day. But sleeping during the day doesn’t always get sympathy from relatives and friends. 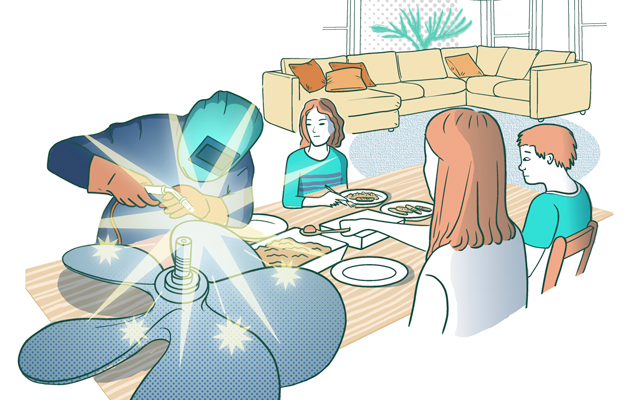 – It’s most important that the family members understand, and work life and family life are in balance. Shift workers often spend their free time with workmates, and you don’t have to explain your time-tables to them. And you have to remember that shift work doesn’t suit everybody, Kangas adds. 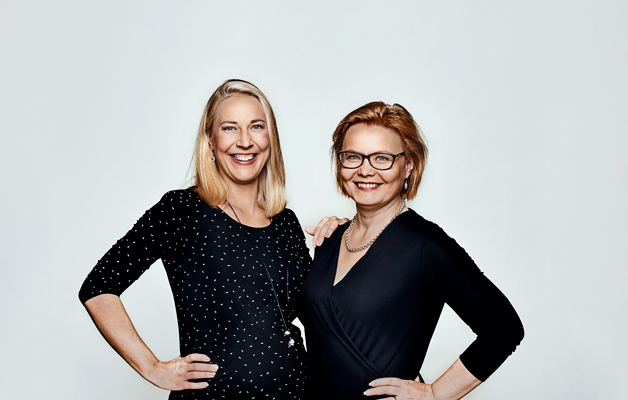 According to Pia Kankaanpää, the extra free time improves the quality of her life. The operator of the rewinder machine keeps up her physical fitness by exercising. Pia Kankaanpää has worked for only eight months as the operator of a rewinder machine which cuts the long rolls of paper into shorter ones. – At first the shifts felt really long, but then I got used to it. Just how busy the days are, depends on the number of orders. Even overtime work is alright now and then when you have a longer period of free days, Kankaanpää says. Due to the in-between free day, the sleep rhythm of Kankaanpää isn’t broken. – People often ask me how we sleep. Quite well, I say. I don’t have spells of tiredness. On the day after a night shift, it’s not wise to plan a lot of things to, and on the day before starting a day shift, you should go to bed early, Pia says. She has two little girls, so Pia and her husband, who has a day job, are happy that the family has a lot of free time together at home. – I wouldn’t want to change my present work to the 8-hour shift system of my previous job. We like to travel, and that’s now possible because of the greater amount of free time that we have, Pia Kankaanpää says. – I was sceptical at first, but I doubt if there’s anything better than this system, says chief employees’ trustee Pasi Manninen.